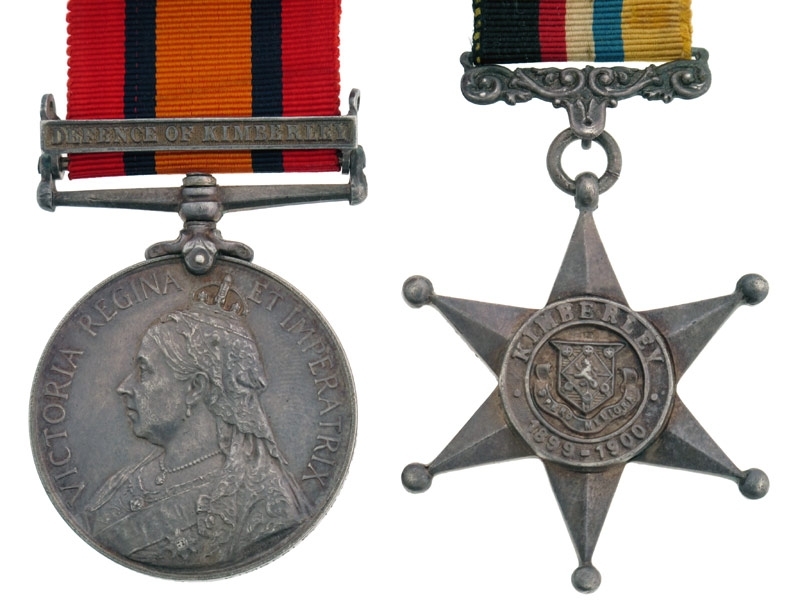 Queen?s South Africa Medal 1899-1902, with 1 clasp - Defence of Kimberley. Second Type. 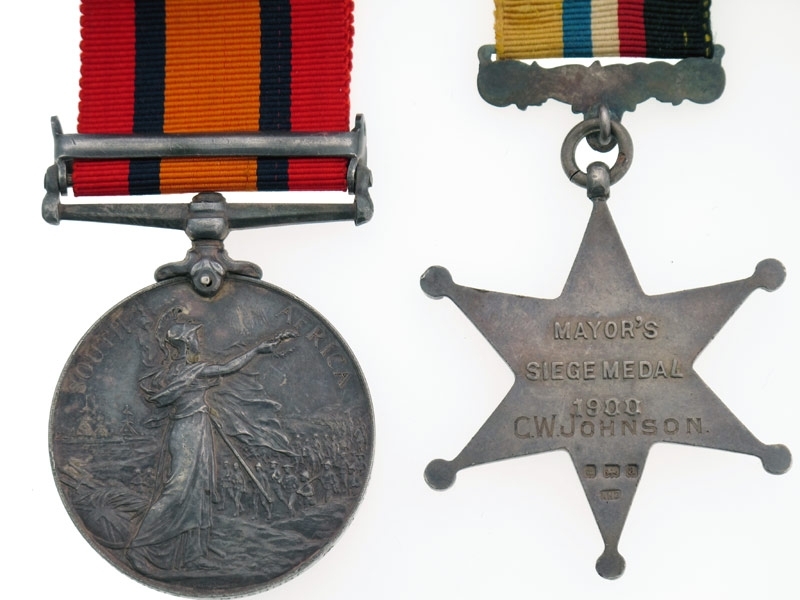 (PTE C. W. JOHNSON. KIMBERLEY TOWN GD:) Naming is officially impressed (South African Unit) in block capitals, patina, extremely fine. Kimberley Star 1900. Hallmark A. (C.W.JOHNSON) Naming is privately engraved, very fine condition.